Interested in leadership and want to make a difference? Consider running to be the next CALS Student Senator! 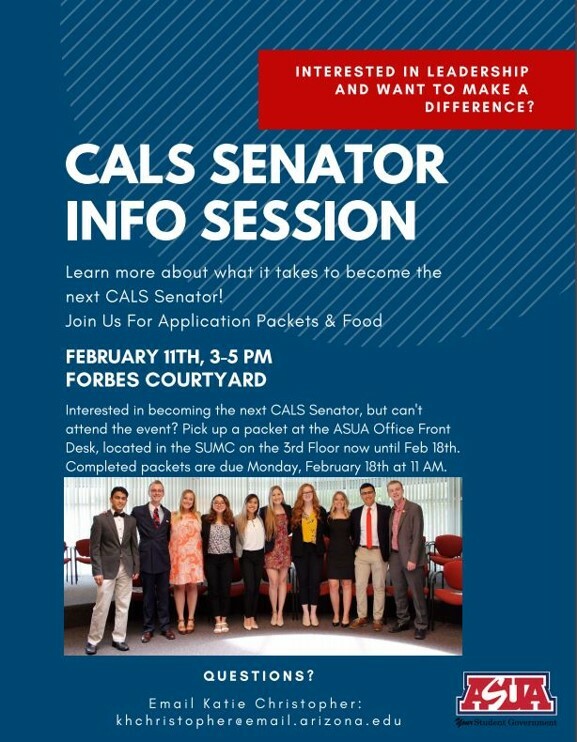 Attend the CALS Senator Info Session and get all the need to know info. Katie Christopher, current CALS Senator, will lead the Info Session. Stop by to learn what it takes to serve as an ASUA Senator, ask your questions, pick up the application packet, and enjoy free food!